Gotham, Fox's new series based on DC's Batman comic book, set in the early years of Gotham when Gordon is a new detective, and Bruce is just a kid. If, for whatever reason, you do not know Batman's origin story, spoilers are ahead; however, the relevant spoilers will be not be discussed. The episode opens with Catwoman, or rather "Catgirl," as she steals from various people on the street, and then she sees Bruce Wayne and his parents walk down the dark alley. 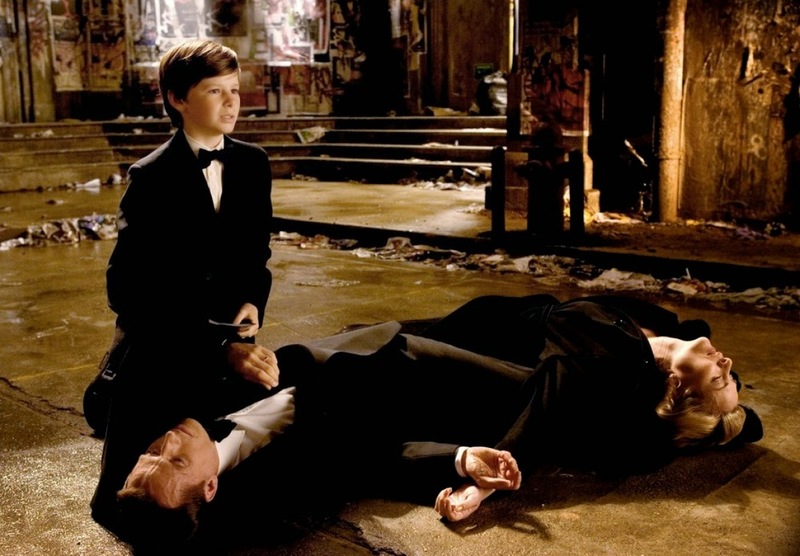 Anyone who knows anything about Batman knows right off the bat that his parents are about to be murdered, and the famous scene is executed exactly as every other version of it: robber demands money and then shoots Bruce's parents. 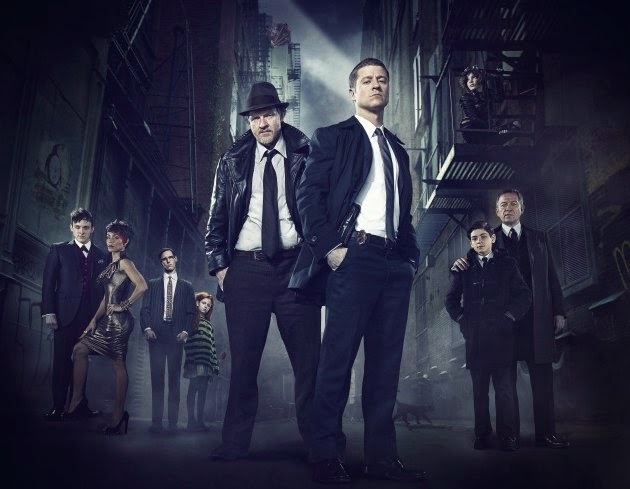 First to the crime scene are Harvey Bullock, and his partner, James "Jim" Gordon. Gordon talks to the witness, Bruce, and gives him some words of encouragement. Go watch the episode if you want to know what happens next. As for the quality of Gotham, it is not a bad start. While almost feeling as though it is trying too hard to be the typical crime drama, the casting and visuals do set it apart thus far. Gotham is probably the best looking series on network TV with the stunningly grim Gotham skyline and the "dark deco" style pull from Batman: The Animated Series. The inside of Gotham City Police Department looks like it was taken from the Arkham City video games with a very retro and gritty aesthetic. The lighting for the sets is particularly noteworthy for adding another layer of professionalism for network television, which is often glossy and bright. Even though the visuals are great, the plot is not the best. The setup to find the Waynes' killer is a bit clichéd, and it will likely drag out for way too long. Ultimately, the plot takes the corrupted city with the one clean cop idea from a bevy of other crime dramas. It is not a terrible setting, but there is nothing original about the setting, aside from Gotham itself. Maybe the series can spice things up with the addition of the comic book characters. That being said, the interaction between young Bruce and Gordon is quite good in both instances. 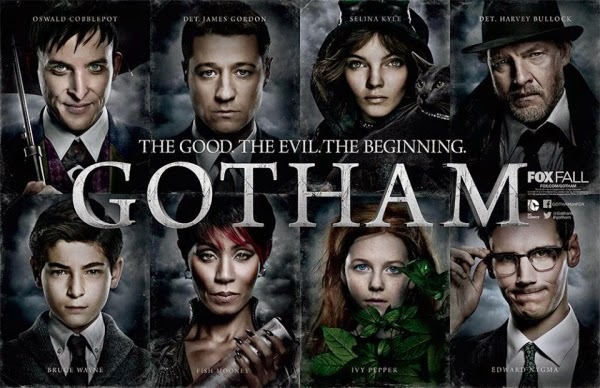 Gotham's first episode introduces a lot of characters from the comics, almost too many. Every five minutes there seemed to be a new comic book character being introduced, although it was quite fun seeing the various interpretations of the popular characters. To analyze the performances, Ben McKenzie as James "Jim" Gordon is quite good, albeit a bit bland. He is the lead character, and while he is doing a fine job, his character is not particularly compelling from the start. Donal Logue as Harvey Bullock provides the comedic relief of the typical buddy cop duo. He fits the character from the comics and animated series, and he will probably be one of the stronger points of the series as it continues. David Mazouz as young Bruce Wayne is fine for a young teen actor, although his scream strange. Camren Bicondova as a young Selina Kyle barely receives any lines, so she was neither good nor bad. Sean Pertwee as Alfred Pennyworth is essentially Pertwee playing aspects of his previous roles, and it works for the most part. He does not receive much screen time though. Cory Michael Smith as Edward Nygma, aka the Riddler, seems as though he is going to fit the role, although he has less than a minute of screen time. Clare Foley plays the young Ivy Pepper (Poison Ivy), and why exactly is her name from the comics, Pamela Isley, changed? I suppose it does not matter. Maybe it is to allow audiences not familiar with the character to recognize her as Poison Ivy. Jada Pinkett Smith as Fish Mooney stands from the rest of the cast, and not in a good way. From her first scene to her last, the character seemed completely out of place. Smith's performance is over-the-top evil for the world created, almost reminiscent of Halle Berry from Catwoman, which is never a good thing. Not surprisingly, Fish Mooney is an original character created for the series, and while there is nothing wrong with creating new character, she just does not work. 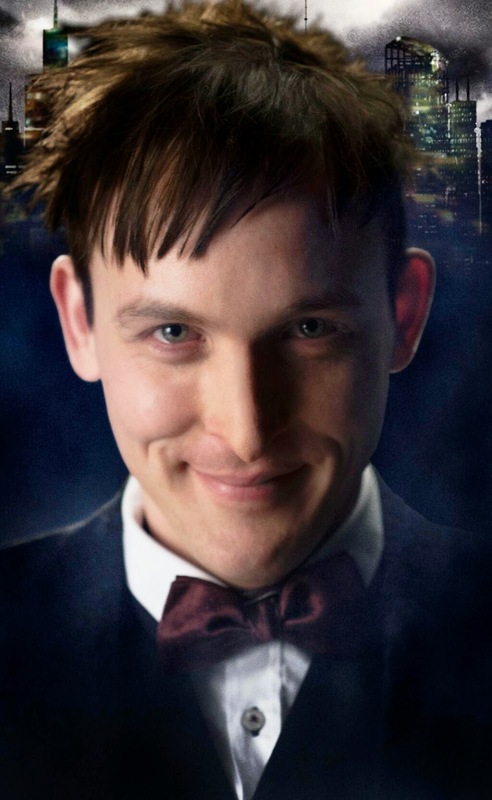 Among this large cast, there is one standout, in the positive sense of the word, Robin Lord Taylor as Oswald Cobblepot / Penguin. Right from the scene before his name is revealed, Taylor looks like the Penguin, just without the weight problem. He really embodies the character, and I look forward to what he is going to bring to the series. Towards the end of the episode, Moony is being entertained by a comedian, and while it is not actually relevant to the story, he could become the Joker later in the series. Also, according to reports, there will be various characters introduced, who could resemble the Joker, yet only one actually is the infamous villain. Overall: 7.1/10- With a few hit and miss performances, a typical mystery plot, and strong visuals, Gotham’s pilot is a decent setup for could either turn into a typical crime drama or an intriguing new adaptation of the Batman story.